I don't know if I should laugh or cry at this, but the fact that 'Human Uber' actually exists says a lot about how we feel about social interaction. I talk a lot about the importance of networking and building business relationships in person, but I also support business who are creating or exploring new technologies. As the adoption of technologies increases, our natural networking skills are decreasing as we're spending less time interacting with other people face to face. 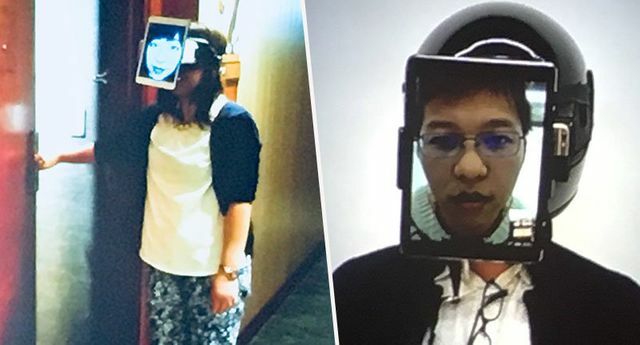 We're becoming more and more reliant on technology and being able to edit how others see us; we're hiding behind screens and it's become our new safe place. The idea of walking up to a stranger and introducing yourself is crazy - terrifying for a lot of people. I believe that this decrease in social interaction is having a major effect on both businesses and on society as a whole. Increasing levels of mental health problems and anxiety, especially in young people, could easily be linked to our decrease in social interaction in the '3D world' as I call it. Being able to openly communicate with other people isn't just a skill to be applied to business networking situations, it's something that we need as part of our basic human survival. Technology is at the heart of innovation as we know it. Yet innovative ideas all come from people first. They come from people talking in the pub, or brainstorming in the office or strangers exchanging opinions at a conference. Take away those interactions, and innovation will stop and the development of technology in turn will decrease. You can't have one without the other, yet the success of one is killing the other! So the question is - when does technology go from changing our lives for the better, to becoming a negative catalyst in society? And how do we ensure the balance? It seems humanity is one step closer to shutting itself away and hiding behind technology once and for all.